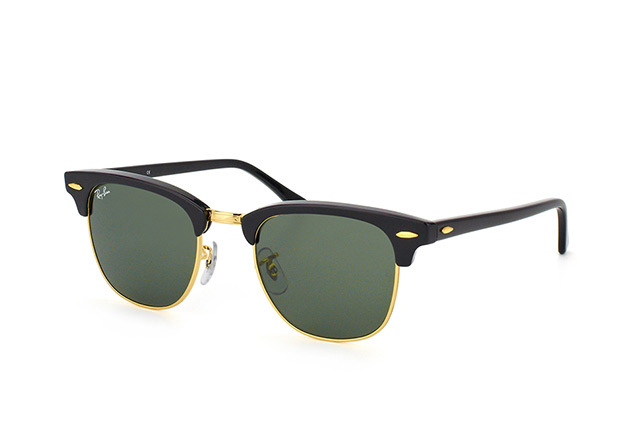 The Ray-Ban Clubmaster belongs to the classics of the Ray-Ban range and is an absolute must-have for the summer of 2011! 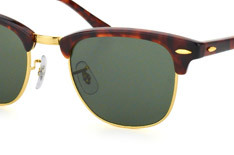 The Ray-Ban Clubmaster is available in a multitude of colour variations of both frames and lenses. Whether your choice of Clubmaster sunglasses will be in white, red or even multicoloured, you can be assured to make a stylish entrance to any event together. You have the option of selecting your Clubmaster sunglasses from Mister Spex with or without prescription lenses, whilst all Ray-Ban sunglasses are delivered with a complimentary Ray-Ban case, Ray-Ban cleaning cloth and manufacturer's instructions. 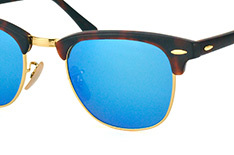 Following the successful revival of the Ray-Ban Wayfarer, its successor is now celebrating its most deserved comeback. 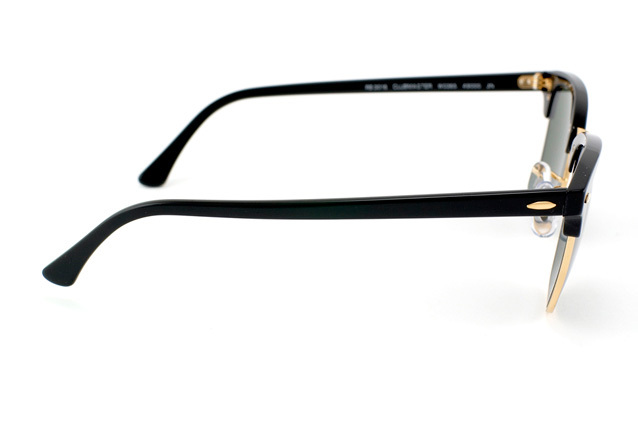 Released onto the market in 1986, the Ray-Ban Clubmaster was a reinterpretation of the browline glasses that were so popular throughout the 1950s worn, for example, by Malcolm X. This style of glasses is characterised by the thicker upper border in a similar fashion to eyebrows. 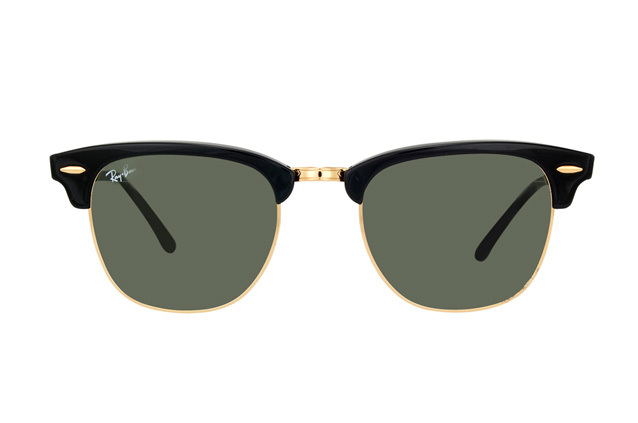 Ray-Ban is now releasing the original having reworked it into a pop culture context, and the success of the Wayfarer suggests that this Rock 'n' Roll icon will also soon be adorning the faces of fashion and music fans around the world and conquering its way back to the top of the charts again. The spirit of Rock 'n' Roll has been reawakened and brings a non-conformist way of thinking with it, found in its material form in the classic Ray-Ban collection glasses. Ray-Ban has always been inseparable from the music scene, which is why the current launch of the Ray-Ban Clubmaster was celebrated with an attractive campaign. Modern artists such as The Kills, Black Kids and Young Knives interpreted their favourite songs from the 1950s. Accompanied by the music photographer Dean Chalkley, who has portrayed such greats as The Verve and Oasis, the campaign pictures display a modern translation of the legendary flair of the wild years of Rock 'n' Roll. They clearly highlight that the Ray-Ban Clubmaster is perfectly suited to the musical generation, happy to colly and calmly liberate themselves from any constraints and conventions. 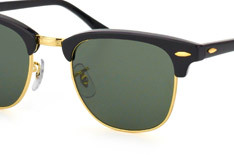 The Ray-Ban Clubmaster has already had leave to celebrate legendary successes. Having played the main role on the faces of extremely famous actors such as Matt Damon, Tom Hanks, Michael Douglas, Denzel Washington and Kevin Costner, in films such as The Talented Mr. Ripley, Catch Me If You Can, Falling Down, Malcolm X and JFK, the Clubmaster gives off a timeless, fashionable image, lending its wearers a stylish, successful aura. It is time for a new Clubmaster generation! With its classic form and modern colour combinations, the Ray-Ban Clubmaster is the new must have of the season! The Clubmaster is a unisex model and can be worn by men and women alike.